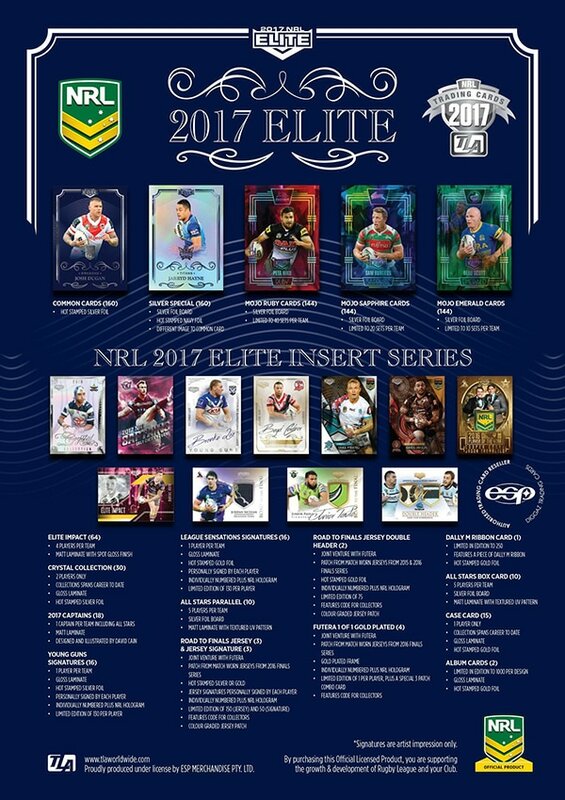 Elite the series 2 ESP release each season always provides a large range of insert hits and this is no exception. 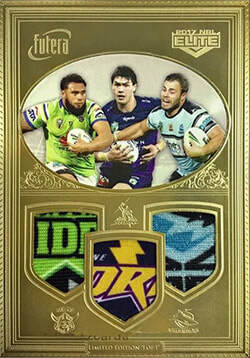 The release includes a silver special parallel version of the common card release in refractor style. 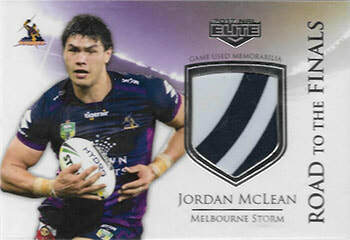 The Mojo cards are back with a complete team set being found in an individual packet. 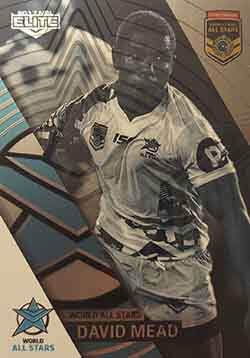 This release contains three different versions in the same design but different colour finish. 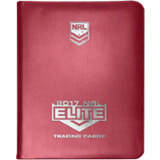 The Mojo Ruby the most common limited to 40 sets per team, Mojo Saphire 20 sets per team and Mojo Emerald 10 sets per team. 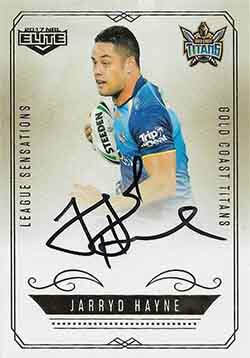 ​The Young Guns Signature cards and the League Sensations Signature cards return both limited to 130 per card with one of each set per team. 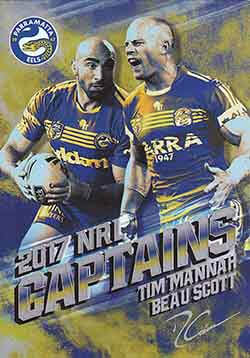 The 2017 Captains cards in foil add some creative flair in design to the set. 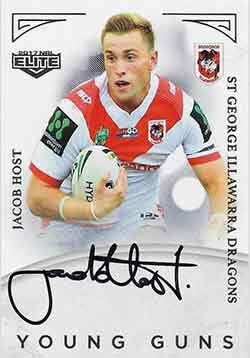 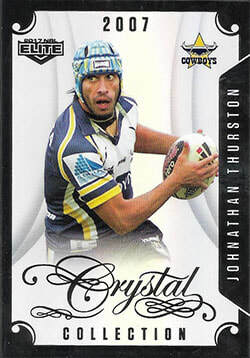 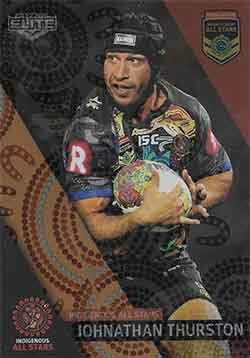 A new edition to this release is the Crystal Collection featuring 30 cards from two players ( Luke Lewis, Johnathan Thurston ). 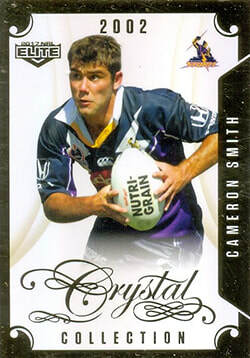 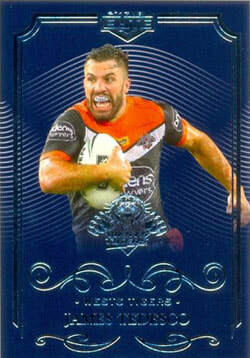 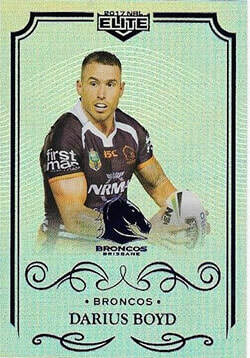 There is also a 15 case card crystal collection version of the set for Cameron Smith. 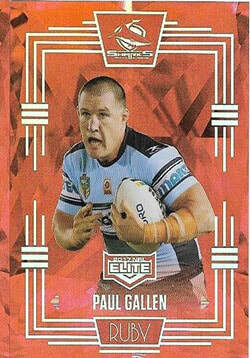 ​All-Stars version also available. 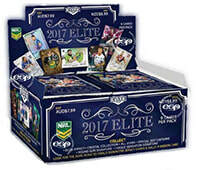 The Elite Impact insert set featuring 4 players per team and found 1 in 4 packets is the most common insert set to collect. 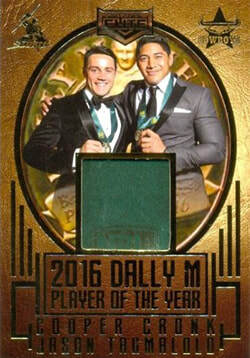 The Dally M Album cards return with two different versions. 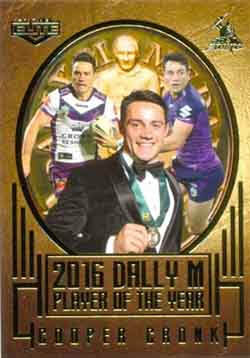 The set also features a unique concept of the Dally M Ribbon card featuring patches of the dally m award lanyon ribbon. 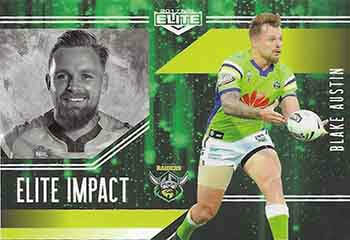 The Road to Finals card returns with three different versions the match worn jersey, the match worn jersey signature and a new design a double header match worn jersey card featuring two players. 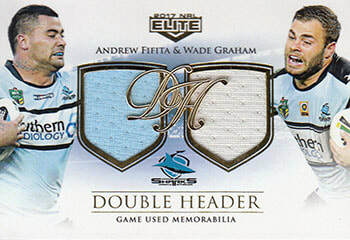 The set also includes a second edition of the ultimate collectable a Futera Gold 1 of 1 release. 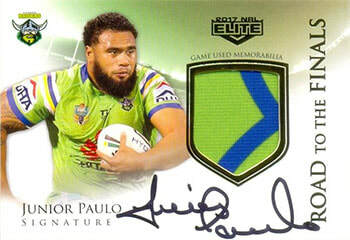 "This release is stuffed and stacked with high end style insert sets and parallel versions of cards. 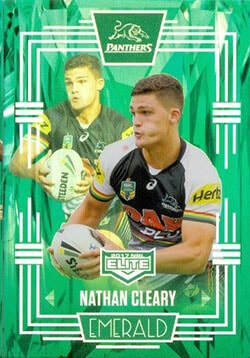 Information overload for for me with a lack of variety in design. 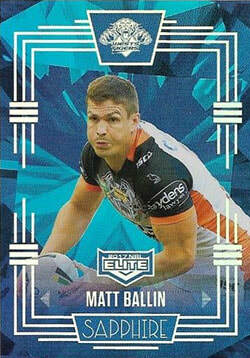 Some great cards for long term value"